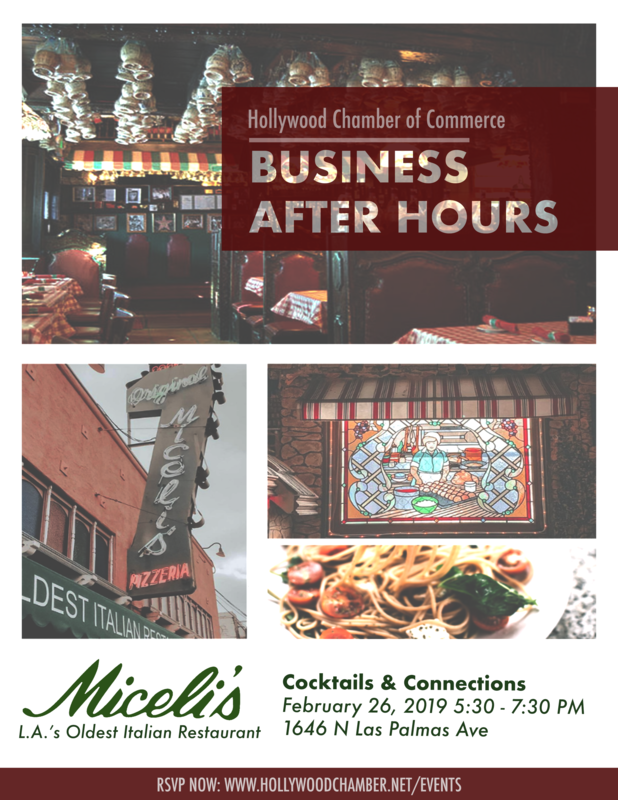 On February 26th, join us at Hollywood's oldest Italian hot spot, Miceli's! Mix and mingle with the Chamber business community and experience Hollywood's first pizza house! "An evening at Miceli's is more than a night out, it is a celebration of life!" Note: All members must RSVP as reservation will be closed once we hit max capacity. For optimum opportunities, we allow only two guest from each company. Non-member who wish to attend, please contact info@hollywoodchamber.net for information.